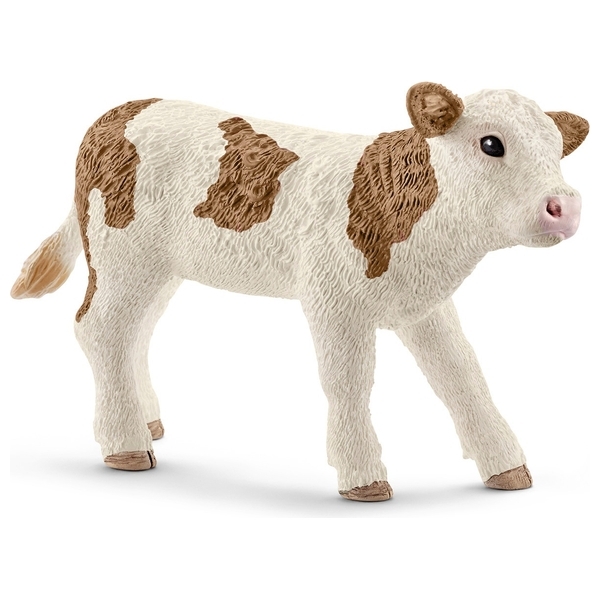 Fun Schleich Facts Cows and their calves have an extremely deep, life-long bond. They lick and nibble at each other. If they are separated, they can recognise each other later on from their voice and scent. Calves are born around once a year. It’s very important they drink their mother’s milk within the first few hours. This is a special yellowish liquid known as colostrum that cannot be drunk by humans. It contains numerous antibodies that help the calf to resist diseases. After around five days, the calf will have had enough colostrum and will then drink normal cow’s milk for around ten months until it can nourish itself exclusively from grass and other plants. When calves play, they run around, buck up or gently ram each other’s heads.